Eyelash curlers are your friends. These Shu Uemura Eyelash Curlers are your best friends. Not only does it “open” your eyes, it makes you “see” things more clearly. One time, I was working on a male model who had lashes that were growing downward. I had a feeling, he couldn’t see clearly so I asked him if it was okay for me to curl his lashes. A debate actually ensued because he thought it would be a complete blow to his masculinity. I told him, “I am not questioning your masculinity, I am doing my best to make sure that you’ll see the runway.” After a bit of hesitation he said “Yes”. My point exactly. There is more to eyelash curling than just aesthetics. These are the only two eyelash curlers I own. One full-sized curler and one mini. They come in a box with a replacement silicone pad inside. Here’s some piece of advice: Do not throw the box your eyelash curlers came in after purchasing them. The extra pad comes in a small plastic bag. What you’ll do is, you’d staple this plastic bag unto the box of the eyelash curler. 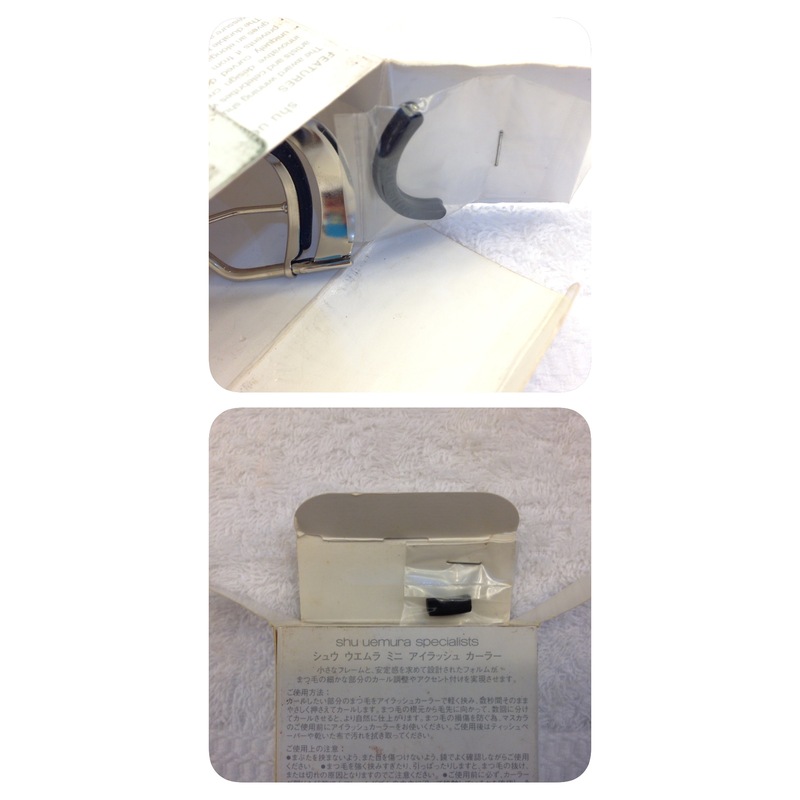 You will store this box in a safe place inside your vanity cabinet or drawer. In doing so, you will not loose an essential element of your eyelash curler that you paid for. Once the current silicone pad on your eyelash curler has lived out it’s cycle, you can quickly replace it with the extra piece that you stapled on the box upon initial purchase. I never use eyelash curlers, but based on a discussion I had with a few friends. The Shu Uemura Eyelash Curler is the best. It’s in the design. I asked a few friends of mine to curl one of their lashes with the ones from Shu Uemura, and the other lash with another popular brand. We have come to the conclusion that unlike the popular brand, you only need to exert a minimum amount of pressure on Shu Uemura Eyelash Curler to get a curl. The shape of the Shu Uemura Eyelash Curler is rounder than that of the popular brand. The metal band sits perfectly on your eyeballs. The popular brand has a more oval shape; a fraction flatter. According to my other friend who tried it, it’s more comfortable for her to use the popular brand because her eyeballs don’t protrude as much; her only complaint was it took her a while longer to achieve the curl that she wanted. The silicone pads of the eyelash curlers from Shu Uemura are different. After checking their website, I have read that their silicone pads have been upgraded. It now has a “mushroom” shape that helps in creating the right curl for you lashes. The silicone pads of the eyelash curlers from Shu Uemura are different. After checking their website, I have read that their silicone pads have been upgraded. It now has a “mushroom” shape that helps in creating the right curl for you lashes. 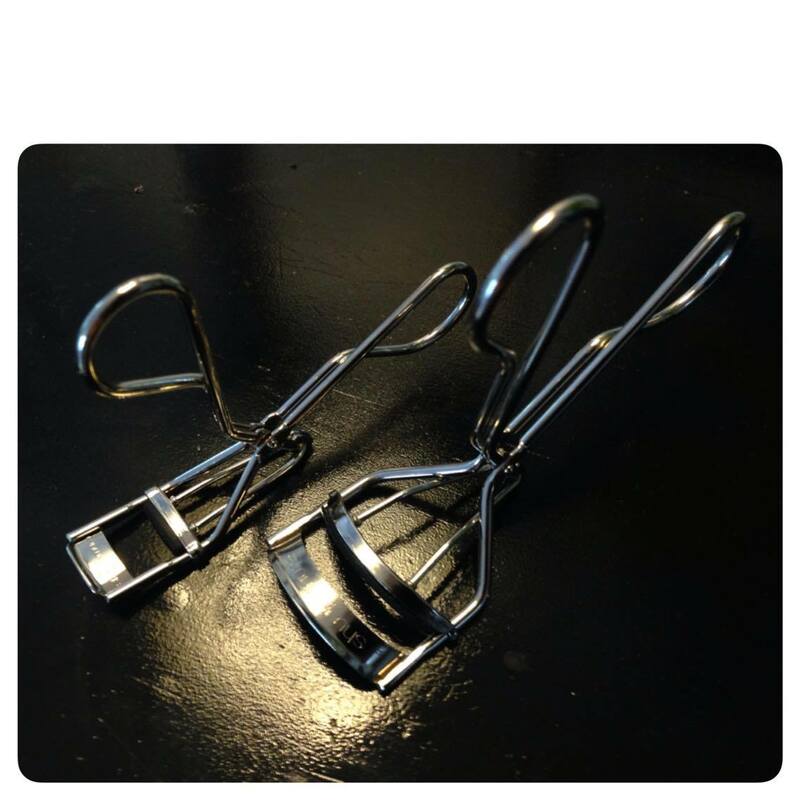 This also creates a more stable “hold” on to the metal base of the eyelash curler. I have also noticed that the silicone pad is slightly longer (by a micrometer, using the term loosely here) ) than that of the other popular brand. Rest assured you get your entire lash on your lash line curled in one go, unless you have big eyes. I use the full-sized eyelash curler all the time. The mini eyelash curlers come in handy when the full-sized eyelash curler can’t curl those stubborn lashes at the outer corners of the eyes. I use this to curl those oddly angled lashes that the full-sized curler miss out on. I also use this to curl lashes on eyes that are smaller than usual. I curl one portion of the lash line after the other. It does curl effectively. Unfortunately the Shu Uemura Eyelash Curlers Mini are now discontinued. There is a New Generation Eyelash S Curler out that I have not tried. Click here to know more about it. The Shu Uemura Eyelash Curler have been at the top of the eyelash curler leader board leader board since it’s launch in 1991. Though there are many cheaper eyelash curlers in the market, you will feel the difference after you’ve switched to Shu Uemura Eyelash Curler. It’s all in the details. Do be careful when you are curling your lashes. Get as close to the base of your lashes as possible. Make sure to have a steady hand in applying various degrees of pressure. Apply slow and steady pressure multiple number of times along your lashes as you move outward and upward. Avoid curling your lashes by exerting a huge amount of pressure in one go, this might dislodge your lashes from its roots. For very stubborn lashes, you can heat the metal band by passing a blow dryer over it or my rubbing the metal band a number of times. Always be careful when heating the metal band to avoid burning the eyelids. Never re-curl your lashes after putting on mascara. Most of the time, when you do this, your lashes will stick to the metal band of the eyelash curler. This can lead to problems such as clumping and breakage. Find a mascara that will hold the curl made by the eyelash curler. Finally, always clean your eyelash curler after every use. I bought my full-sized Shu Uemura Eyelash Curler in Duty Free Philippines years ago for $21.They currently retail for php 1400. You can get the eyelash curlers at Shu Uemura botiques in SM North EDSA, Shangri-La Plaza, SM Makati, Rustan’s Makati, Powerplant Mall and in Alabang Town Center. The Shu Uemura Eyelash Curler Mini was a gift.